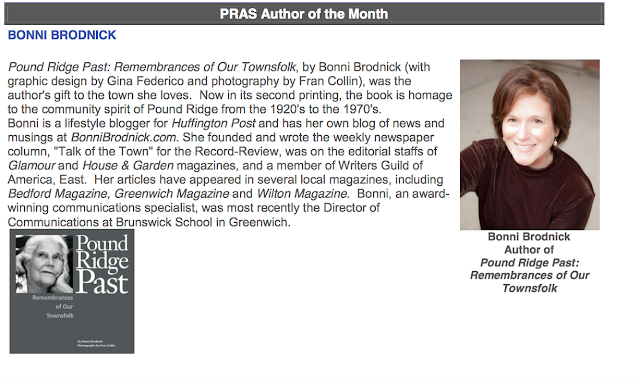 Many thanks to Pound Ridge Library for launching their Pound Ridge Author Society "Author of the Month" series with POUND RIDGE PAST: Remembrances of Our Townsfolk. POUND RIDGE PAST is available at poundridgepast.com, amazon.com, Kitchen Table and Scotts Corners Market. Much gratitude to one of my favorite towns on earth for their continued support.